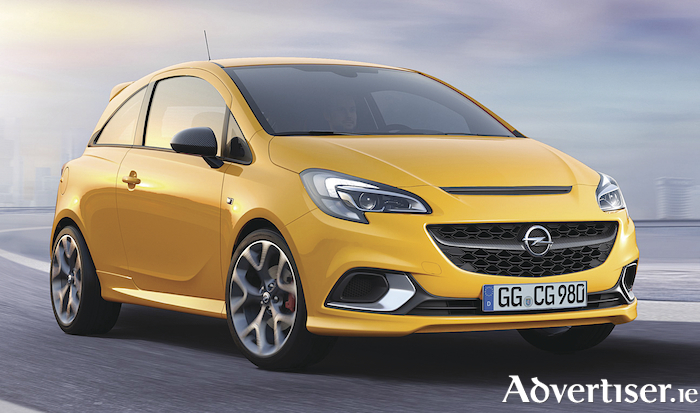 Opel says that the new Corsa GSi offers great precision for pure driving pleasure. And this is something that it is already impressively demonstrating in the midsize class, with the Insignia GSi. The German carmaker, now owned by PSA, claims that it is a precise sports machine that becomes a cornering virtuoso thanks to its sports chassis fine-tuned on the famed Nordschleife of the Nurburgring. “We are continuing our long GSi tradition with the new Corsa GSi. There was already an especially sporty variant of the very first Corsa, which is a sought after classic-to-be. Our latest athlete will set new standards in the segment with its OPC sports chassis,” said Peter Kuspert, Opel managing director of sales and marketing. This three-door small car impresses with precise lines. It has a characteristic design with large air intakes, sculptured bonnet, prominent rear spoiler and precisely modelled side sills. Opel claims that the pure feeling of sportiness is also conveyed by the interior. The Corsa GSi driver sits on the optional Recaro performance seat and puts his hands on the sports steering wheel. Select the gear via the leather gearshift knob, put your foot on the aluminium sport pedal and pure driving pleasure commences. Opel says the Corsa GSi also emits pure precision. The sport chassis known from the OPC version and the brakes with red callipers ensure precise athleticism, outstanding handling and short braking distances also when combined with the optional 18-inch light alloy wheels. It also promises that Corsa GSi occupants can also enjoy outstanding connectivity with the optional IntelliLink infotainment system and bring the world of Apple iOS and Android smartphones into the car.